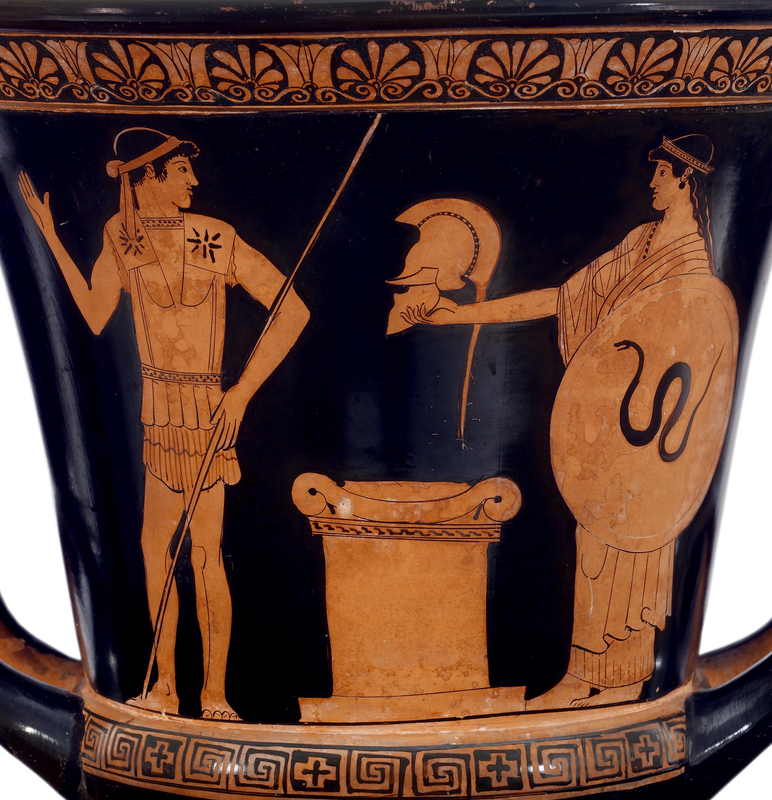 Achilles receiving his new armor from Thetis. Detail from a Red-figure Calyx Krater by the Altamura Painter, ca. 470-460 BCE.